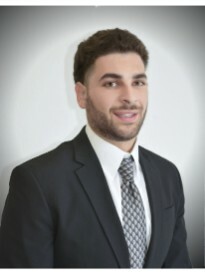 Khames Abdelrahman is the owner of a Goosehead Insurance franchise located in Menifee, CA. Khames and his Goosehead team help their clients find the best possible options at the best price by searching over 20 A rated insurance companies. They are committed and passionate about finding solutions for all of his customer’s insurance needs. Khames spent the last 6 years with Farmers Insurance as an agency owner. He has a great understanding of how to meets client’s expectations and strong knowledge of the insurance industry. The goal of his Goosehead agency is to provide value and educate his clients on the coverage and policies that they truly need. Khames has been a resident of Menifee for the last 8 years. The city of Menifee is growing and Khames wants to be a part of it. If you’re looking for someone that can help you and advise you on how to protect your family, call Khames today!